Developers behind a scheme to build a new market town between Horsham and Mid Sussex have welcomed a new agreement with the a council to ‘test its deliverability’. Mayfields first presented the plans to build a new 10,000 town in the area in 2013 and the scheme faced huge backlash from residents, councils and MPs. 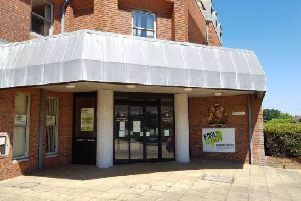 Mayfield Market Towns said it had been in contact with Horsham District Council and Mid Sussex District Council ‘over many years’ to try and promote the development through the Local Plan processes. A spokesman for the developers said: “As an extension of this, we now have a Planning Performance Agreement with Horsham District Council so we can work with their officers to ensure any emerging proposals are technically sound and deliverable.